The Epworth Food Truck Rodeo features the best food trucks in Columbia and it is 100% locally led by volunteers in our community! It is great food and a great time for the whole family, but it is more than that. We are asking for sponsors to make sure that every child at Epworth is provided with a meal from the truck of their choice! There is no admission fee but donations are appreciated. All donations received at the rodeo will benefit the children at Epworth Children’s Home. 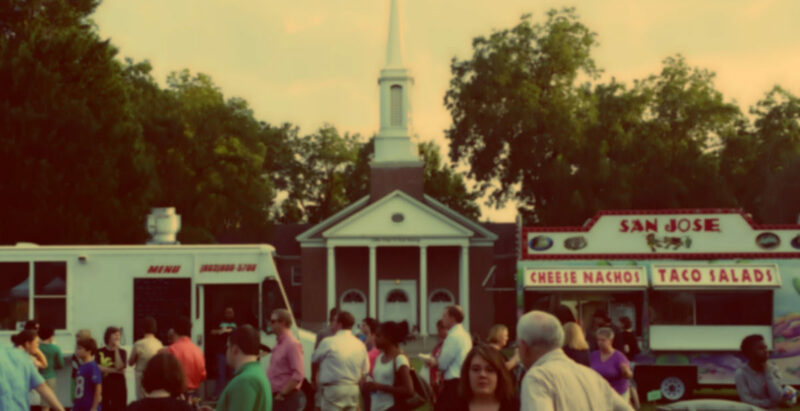 Celebrating its 6th year, the Epworth Food Truck Rodeo is a family friendly event held on the Epworth campus on Millwood Avenue, nestled in the heart of one of the oldest residential neighborhoods in Columbia. Presented by the Friends of Epworth, the event is planned, organized and hosted by volunteers. In addition to food trucks, there will be games, music and plenty of green space to bring a picnic blanket for your family and friends. The event has grown each year and we are excited to make this the biggest and best yet! Food Trucks: The event features the best food trucks in Columbia and features a variety of menus and cuisines. The Epworth Food Truck Rodeo is not a pop-up concession stand with your typical fast food offerings. These restaurants on wheels prepare fresh food to order—so you will have a fresh meal made just for you! There will be no ATM on site. Some trucks accept credit/debit, all accept cash. 2018 Trucks Committed: Carolina Cookin’, The Donut Guy, Pawley’s Front Porch, Road Runner Cafe, Doko Smoke BBQ, The Belgian Waffle Truck, Size Matters BBQ, Doggie Bagz, Scott Benny’s, San Jose and Pelican Snoballs – and maybe even a couple more! Entertainment: 20 foot slide/bounce house by 123Jump!, Video Game Truck, Face Painter, DJ and More! Parking: While there are multiple parking lots on the Epworth campus accessible only from the main entrance gates at 2900 Millwood Avenue, on-campus parking will be limited. Please carpool with your friends when possible and walk/bike to campus if you can. Volunteers will be on-hand to assist with traffic and parking. Epworth’s campus policy does not allow dogs/pets on its campus. Service animals only, please.